Edelweiss Tokio Life Insurance is a partnership between Edelweiss Financial Services Ltd. and Tokio Marine Holdings Ltd. and was established in the year 2011. Since then, the company has scaled great heights and gone on to win various accolades and awards. 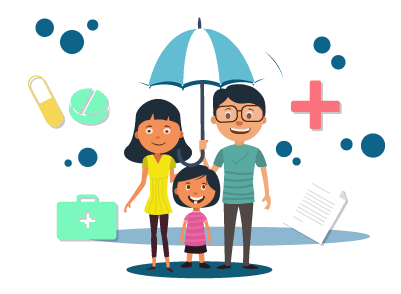 It provides a wide range of insurance products to its customers and also boasts of an extensive customer care service as well. An existing or a new customer of Edelweiss Tokio Life Insurance may contact a customer care service executive in case of any query by calling on 1800 - 212 - 1212 which is available 24x7 from Monday to Sunday. If the customer wishes to find information or has queries related to the insurance company’s new products, he/she can give a missed call on 022 - 6611 - 6040. A customer can avail this facility by visiting the insurer’s official website. He/she can locate an ‘ask us’ icon located on the bottom right of the page, clicking on which there will be six icons, in which one of the icons will be ‘request a call back’ option. On clicking the icon, the person will have to provide his/her name and mobile number and click on the Submit button. A customer care agent will get in touch with the person by contacting him/her on the mobile number provided. In the ‘ask us’ section, one of the icons is the chat icon, clicking on which, a dialogue box will open. The person can then type his/her query and hit enter. A customer care agent will start chatting with the person and will help in resolving the issue. On clicking the ‘contact us’ option, there will be two options provided to the customer, which are branch locator and enquire with us. Enquire with us: On clicking on this tab, a form page will open, where the customer will have to enter his/her name, email ID, mobile number, the category in which the query is related to. A message box is also provided, which allows the person to type in his/her query in detail. Once all the relevant information is provided, the customer can click on the Submit button. Branch locator: This option helps the customer in finding the address of various branches of Edelweiss Tokio Life Insurance Company. The customer can also get the address and other details messaged via SMS by providing his/her mobile number. Write to us: On clicking this option, a form page will open, where the person will have to provide important details such as his/her name, phone number, email ID, and the type of complaint. A description box will also be provided in which the customer can write the query/complaints in detail. Once, all these details are provided, the person can click on the Submit button. Check status: The customer can check the status of his/her complaint by clicking on this option. He/she will have to provide a complaint reference ID which he/she would have received after submitting his/her complaint/query in the ‘write to us’ section. The person will have to click on submit now button, following which he/she can know the status of his/her query. If the customer still hasn’t received a satisfactory response from the Chief Grievance Redressal Officer, he/she can then get in touch with the Grievance Cell of the Insurance Regulatory and Development Authority of India (IRDAI) and contact an Insurance Ombudsman Officer.